Expand you career and business opportunities with the exceptional and mind-opening VSAT Field Engineering program. Excellent for go-getters that need capability in VSAT without complexity. down-to-earth, no-nonsense, Practical VSAT Training - Very Small Aperture Terminal (VSAT) and Wireless technologies are key components of modern telecom networks. VSAT and Wireless technologies will continue to provide opportunities now and in the foreseeable future for telephone, video, and Internet services.80% of Africa's international voice and data traffic is carried via satellites / VSAT. 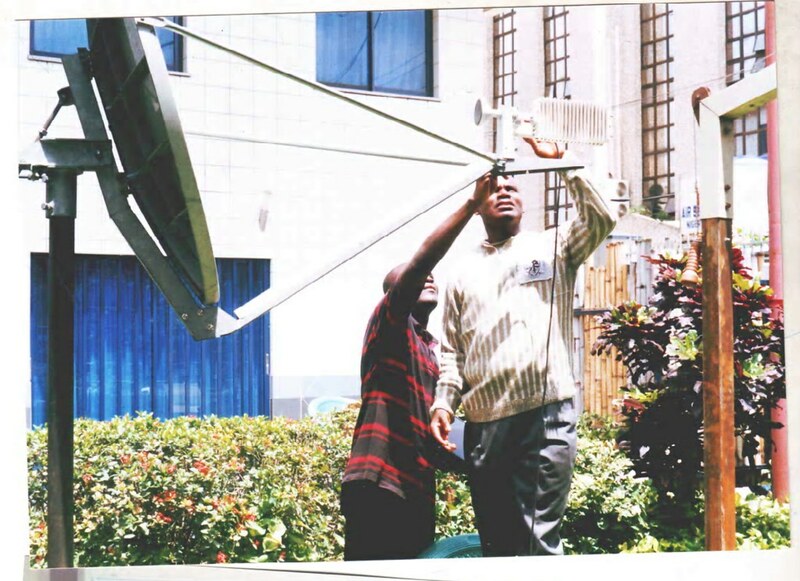 Why VSAT training in Africa? Prepare to learn from talented, field proven experts who have nearly 20 years experience in the global VSAT and wireless RF connectivity industry. No other program gives you direct access to the real-life ideas and experience of such proficient and seasoned field experts. It is shockingly REAL, unbelievable and mind-opening! IT IS IN A CLASS BY ITSELF. THERE IS NO COMPARISON. FOCUS: Satellite Fundamentals, VSAT Network Design, Link Budgets,VSAT Service, Site Survey, Site Commissioning & Field Engineering. 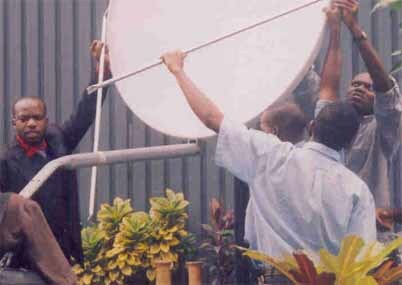 Do VSAT commissioning. Live & Practical VSAT. SETUP VSAT sites. October 18 and 19, 2012 in Lagos. Nigeria. NGN 80, 000 per person. NGN 70 000 per person for two per company. NGN 60 000 per person for three to nine people per company. BUT SEIZE THE SPECIAL LIMITED TIME OFFER: Jidaw is offering significant VSAT training SIGNIFICANT DISCOUNTS of OVER 50% to a limited number of candidates from Nigeria. Call on 08035007778 to claim your discount NOW. LIMITED TIME, LIMITED SPACE OFFER. THE OFFER IS BASED ON AVAILABILITY OF SPACE. FIRST COME, FIRST SERVED. (ALL COURSE PRICING IS SUBJECT TO CHANGE. TRAINING FEES / AVAILABILITY / ALL DATES GIVEN ARE TENTATIVE AND SUBJECT TO CHANGE UNTIL YOU REGISTER). US$ 630 per person for two per company. US$ 620 per person for three to nine people per company. Fees are inclusive of tuition, Course Handbook and CD, Certificate issued on successful completion, meals and refreshments during the course. DON'T DELAY, due to the practical nature of the course, spaces are limited. We can only offer places based on a first-come-first-served basis. Make a wise investment - ACT NOW! This down-to-earth program has been running for several years and it is normal to receive such comments often due to the usual way people think about VSAT and its training. However, this one and only VSAT training is an uncommon, result-oriented program developed and run by VSAT Engineers who install, support and deploy VSATs EVERYDAY. The facilitators are experienced satellite communications engineers that have expertise in most satellite equipment such as: Radyne Comstream, Paradise Datacom, Gilat - Skystar, HNS - GW series, ViaSat - Linkstar and iDirect. They have installed VSATs in over 22 African countries. THEY DON'T HAVE TIME FOR STORY TELLING! In this industry and in Africa, it is truly one of a kind. The VSAT training is a VSAT foundational and skill building program. No program can teach you everything about VSAT or cover all possible equipment. The focus is on the fundamentals with EMPHASIS on hands-on practicals and deployment. It is not a research or theory based that must take years, months or weeks. It is a shock to the conventional, Status Quo! Most simple VSAT installations can be carried out by experienced installers in just a few hours. This uncommon, hard-to-find program breaks the usual stereotypes. Unlike the traditional expectations VSAT Field Engineering training is not about theoretical studies and research of satellite. This UNCOMMON VSAT Field Engineering course is developed by our facilitator and has been presented throughout Africa - over 2,000 students have benefited with incredible and positive outcomes. And participants are stupefied and blown away with the results. For many who had doubts, it was mind-opening, exceptional and unbeatable - you install VSAT and browse the Internet from your VSAT installation. "Now I am the VSAT go-to person in my area. Jidaw has changed my life. I never knew such a program could open so many doors for me." - Akpan Mbosowo, Calabar, Cross River state of Nigeria. Promise Enyinnaya Ohaeri from Yenegoa and Dubem Njeze from Abuja work on the practical aspects of mounting the dish. Jidaw Systems Limited is the originator of the IT Entrepreneurship Guide series - Success in IT Business programs and a Foremost Authority on IT Career development. Jidaw is a partner of the Network of Aspiring & Startup IT Entrepreneurs in Africa (NASITEA) as well as the African Information Security Association (AISA). At Jidaw, We don't just teach Technology, We've been empowering Technology professionals worldwide since 1995. Jidaw has no Training strategy. Training is Jidaw's strategy. They don't Call us Mastercomputers for nothing. Jidaw is a member of the Nigeria Computer Society (NCS) and CompTIA - the global Computing Technology Industry Association. Jidaw is well known in Africa for the high quality and standard of its training programs. Our students are our best advertisement - Over 80% of our students come from referrals of our present and former students.